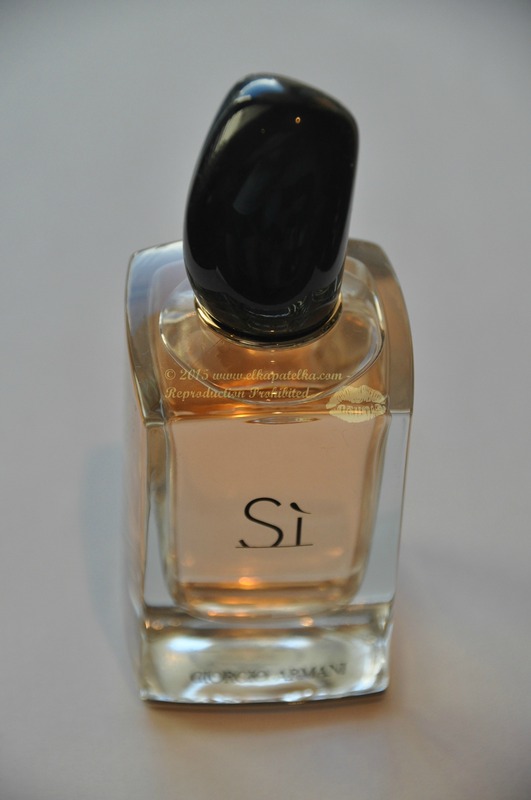 It is an elegant EDP, ideal for a night out, a date or a romantic dinner. The fragrance opens with heart notes of strong flowers-and it can be a bit too much for some people-you need to like Armani to stand the scent, which beautifully develops on the skin to top notes of rose and jasmine. Warm undertones caress patchouli and amber. At the end of the day I can smell the scent of vanilla as a gentle goodbye from Armani. This entry was posted in Armani, Perfume and tagged Armani, Armani Si, beauty quotes, Giorgio Armani, Si EDP, Sonia Rykiel.